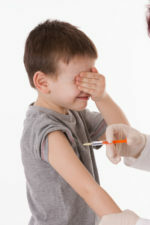 Many parents blanch at the thought of taking their kids to the doctor for vaccinations. No matter how much you explain the necessity for that pinprick, it's hard to overcome the fear of pain (which makes the whole experience worse). So when the first nasal spray flu vaccine became available in 2003, it was well received. Unfortunately, that option is no longer available. At least for now. An advisory committee from the CDC just recommended that the spray should not be used for the upcoming flu season because it will not provide sufficient protection. In 2003, the FDA approved FluMist for healthy individuals between the ages of 5 to 49 years. The nasal spray vaccine contained four strains of attenuated viruses (also called attenuated "live" viruses, even though viruses are not technically alive). At that time, FluMist seemed to be more effective than injections. However, flu viruses mutate with ease, so one season's effective vaccine may be ineffective the next year. That seems to be what happened with FluMist. As recently as last year, the CDC was OK with nasal flu vaccine, but no longer. According to a report in the New York Times, the Advisory Committee on Immunization Practices (ACIP), which provides advice about vaccine scheduling to the CDC, FluMist was not effective during the 2015-16 season against the H1N1 strain of flu, which is becoming more common. This advisory is based on data from last year's flu, and does not apply to future seasons, since it could once again be effective against different predominant strains in other years. So, your kids will have to roll up their sleeves this year. Have a lollipop ready.